Sydal starts of with arm drags and a head scissors before knocking Page down with a heel kick. Page rolls outside and pulls Colby Corino in front of him, causing Sydal to take Corino out. Page hits his shooting star shoulder block as we go to a break. We come back to see Sydal battling with a series of kick before the double knees get a two count for him. Sydal’s standing leg drop and standing moonsault get a two count. He goes up top, but is knocked off the top. Page capitalizes with a crazy fireman’s carry backbreaker. Page isn’t able to get the three count, and Sydal hits the shooting star press for the win. Decade attacks Sydal after the match. ACH makes the save, but gets attacked too. Page hits a reverse piledriver on Sydal on a bunch of chairs while they make ACH watch. – Veda Scott comes out and trashes Moose. She says Cedric Alexander will prove that potential doesn’t win matches, aggressiveness and her guidance wins matches. Ferrara gets a nice ovation from his hometown crowd. Young grabs a headlock, but Ferrara outwrestles him and applies a short-arm scissors. Young lifts Ferrara up and drops him while still in the hold. Young applies another headlock, but Ferrara fights back and hits a tornado DDT for 2. Ferrara goes for a sunset flip for a two, and gets hit with a big lariate. Dalton Castle’s Boys come out and distract Silas Young, allowing Ferrara to roll up Young for the pin. Young attacks both of the Boys after the match. Roderick Strong is on commentary for this match, as Lethal starts it off by putting the boots to Briscoe after a handshake. Briscoe is rolled outside and Lethal tries to get DQ’d by having Martini hit him with the Book of Truth, but ODB makes the save as we go to a commercial. We come back to see Mark Briscoe in control, tossing Lethal across the ring with a big belly-to-belly suplex. J Diesel tries to interfere, but Briscoe tosses him from the ring, allowing Lethal to take control. Briscoe turns Lethal inside out with a clothesline, but only gets a two count off of a big brainbuster. Lethal is bounced to the outside and does the Cactus Jack Elbow. Martini tries to interfere, but ODB knocks him down. Donovan Dijak pops up, but Jay Briscoe comes out to take care of him. Lethal suicide dives ODB, and while the ref is checking on her, Dijak low blows Briscoe. Lethal Injection, pin. – Jay Briscoe and Lethal come to blows after the match, and the House of Truth jumps the brothers. Roderick Strong makes the save. 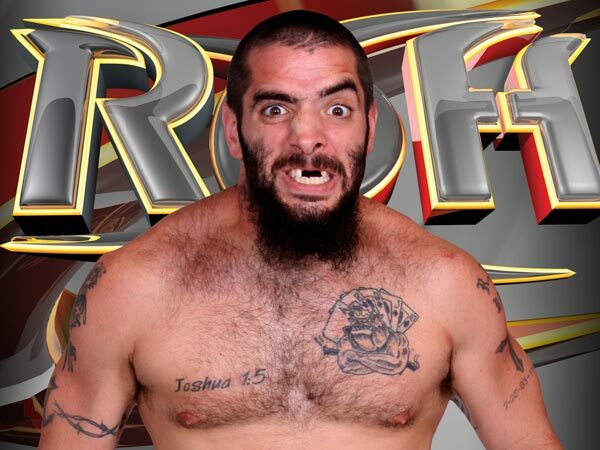 Strong makes a challenge for ROH 200 for the Briscoes & Strong vs. House of Truth. ODB says she’s rather make it 4 on 4. Next Story → ECWA Summer Splash tonight in New Jersey!